De De Pyar De | First Look Of ‘De De Pyar De’, Is Out! First Look Of ‘De De Pyar De’, Is Out! 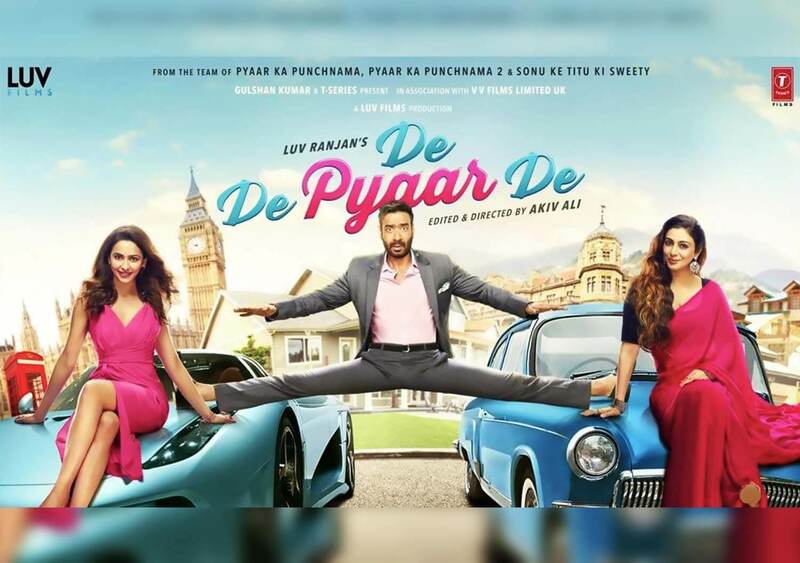 The first poster of ‘De De Pyar De’ movie starring Ajay Devgn, Tabu and Rakulpreet has been released. The poster of the movie is quite attractive as Ajay Devgn is seen doing a leg-split which is almost similar to one of the scenes of his first and popular movie, ‘Phool Aur Kaante’. The only difference between the two is, in 1991 classic movie, he did the stunt on two bikes while in this recent movie, he is seen doing the split-stunt on two different cars. We can say that the trailer of the movie which will be out on 2nd of April, will definitely be worth-watching and we just can’t wait for the movie to release. The movie, directed by Akiv Ali and produced by Bhushan Kumar, is all set to release this year on 17th May, which is Ajay Devgn’s 50th birthday. The Total Dhamaal Trailer Is Entertaining!